“Among the Believers Are Men,” Rumiyah, April 2017, https://azelin.files.wordpress.com/2017/04/rome-magazine-8.pdf. Abousamra reportedly died in a January 2017 airstrike outside of Raqqa, Syria, according to his eulogy in the April 2017 issue of Rumiyah.“Among the Believers Are Men,” Rumiyah, April 2017, https://azelin.files.wordpress.com/2017/04/rome-magazine-8.pdf. Before his reported death, Abousamra is believed to have lived in Aleppo, Syria, with his wife, extended family, and at least one child.“Wanted Fugitive Ahmad Abousamra Added to the FBI’s Most Wanted Terrorists List,” FBI Boston, December 18, 2013, http://www.fbi.gov/boston/press-releases/2013/wanted-fugitive-ahmad-abousamra-added-to-the-fbis-most-wanted-terrorists-list. Abousamra was born in France in 1981 and raised in an upscale suburb in Boston, Massachusetts.Michael Zennie, “The American computer wiz running brutally effective ISIS social media campaign: College-educated son of top Boston doctor is on FBI Most Wanted list,” Daily Mail (London), September 4, 2014, http://www.dailymail.co.uk/news/article-2743737/The-American-computer-wiz-running-ISIS-brutally-effective-social-media-campaign-College-educated-son-Boston-doctor-FBI-Most-Wanted-list.html. Growing up, Abousamra worshipped at the Islamic Society of Boston in Cambridge, Massachusetts, the same mosque frequented by Tamerlan and Dzhokhar Tsarnaev, “Lady al-Qaeda” Aafia Siddiqui, banned Muslim Brotherhood leader Yusuf al-Qaradawi, Abousamra’s co-conspirator Tarek Mehanna, and other convicted supporters of terrorism, including the mosque’s founder, Abdurahman Alamoudi.Paul Sperry, “Boston bombers’ mosque tied to ISIS,” New York Post, September 7, 2014, http://nypost.com/2014/09/07/jihadi-behind-beheading-videos-linked-to-notorious-us-mosque/. “United States of America v. Tarek Mehanna and Ahmad Abousamra Superseding Indictment,” U.S. Department of Justice, November 5, 2009, 4-5. “United States of America v. Tarek Mehanna and Ahmad Abousamra Superseding Indictment,” U.S. Department of Justice, November 5, 2009, 26. In 2009, a U.S. district court indicted Abousamra on nine terrorism-related charges and issued a federal warrant for his arrest. “Wanted Fugitive Ahmad Abousamra Added to the FBI’s Most Wanted Terrorists List,” FBI Boston, December 18, 2013, http://www.fbi.gov/boston/press-releases/2013/wanted-fugitive-ahmad-abousamra-added-to-the-fbis-most-wanted-terrorists-list. In 2013, the FBI added Abousamra to its list of Most Wanted Terrorists and offered a $50,000 reward for his capture.“Wanted Fugitive Ahmad Abousamra Added to the FBI’s Most Wanted Terrorists List,” FBI Boston, December 18, 2013, http://www.fbi.gov/boston/press-releases/2013/wanted-fugitive-ahmad-abousamra-added-to-the-fbis-most-wanted-terrorists-list. After the outbreak of the Syrian civil war in 2011, Abousamra joined the fighting alongside the Nusra Front (Jabhat Fateh al-Sham). According to ISIS’s eulogy, Abousamra left the Nusra Front to join ISIS after criticizing Nusra leader Abu Muhammad al-Golani for betraying ISIS and its leader, Abu Bakr al-Baghdadi. Abousamra initially sought to carry out a suicide attack for ISIS, but was convinced by fellow member Shaykh Abu Muhammad al-Furqan to reconsider. Furqan instead introduced Abousamra to ISIS’s media department.“Among the Believers Are Men,” Rumiyah, April 2017, https://azelin.files.wordpress.com/2017/04/rome-magazine-8.pdf. Utilizing his fluency in both Arabic and English, as well as his technology-related college degree, Abousamra took on a leadership role translating ISIS’s propaganda into English. He helped Furqan organize ISIS’s foreign language team and advised on the creation of the group’s Dabiq and Rumiyah magazines. He became Dabiq’s editor and also guided the terror group in releasing viral videos online.“Among the Believers Are Men,” Rumiyah, April 2017, https://azelin.files.wordpress.com/2017/04/rome-magazine-8.pdf. In June 2015, the Iraqi government referred to Abousamra as “an ISIS filmmaking expert” when erroneously reporting his death in an airstrike in Iraq.“Mass. man accused of aiding ISIS killed in Iraq, reports say,” Boston Globe, June 3, 2015, https://www.bostonglobe.com/metro/2015/06/03/mass-man-accused-aiding-isis-killed-iraq-reports-say/MABevJO6Pm4beu1B8M1yHI/story.html. Soon after ISIS released the first issue of Rumiyah in September 2016, Abousamra’s mentor, Furqan, died in an airstrike in Raqqa. According to ISIS’s April 2017 issue of Rumiyah, Abousamra was so distraught by Furqan’s death that he insisted on becoming a frontline soldier for ISIS. Abousamra then died in January 2017 when a missile struck the house where he was staying near Raqqa. According to Rumiyah, Abousamra left “his image imprinted in the minds of his brothers, sitting at his computer in the darkness of night and the early hours of morning, researching an issue, reviewing a book, or writing an article.”“Among the Believers Are Men,” Rumiyah, April 2017, https://azelin.files.wordpress.com/2017/04/rome-magazine-8.pdf. Abou Maysara Al-Shami“Among the Believers Are Men,” Rumiyah, April 2017, https://azelin.files.wordpress.com/2017/04/rome-magazine-8.pdf. Abu Fadl“Ahmad Abousamra,” FBI, accessed April 6, 2017, https://www.fbi.gov/wanted/wanted_terrorists/ahmad-abousamra. Abu Mohammed the Syrian“Mass. man accused of aiding ISIS killed in Iraq, reports say,” Boston Globe, June 3, 2015, https://www.bostonglobe.com/metro/2015/06/03/mass-man-accused-aiding-isis-killed-iraq-reports-say/MABevJO6Pm4beu1B8M1yHI/story.html. Abu Sulayman Ash-Shami“Wanted Fugitive Ahmad Abousamra Added to the FBI’s Most Wanted Terrorists List,” FBI Boston, December 18, 2013, http://www.fbi.gov/boston/press-releases/2013/wanted-fugitive-ahmad-abousamra-added-to-the-fbis-most-wanted-terrorists-list. Abu Sulayman “al-Halabi”“Wanted Fugitive Ahmad Abousamra Added to the FBI’s Most Wanted Terrorists List,” FBI Boston, December 18, 2013, http://www.fbi.gov/boston/press-releases/2013/wanted-fugitive-ahmad-abousamra-added-to-the-fbis-most-wanted-terrorists-list. 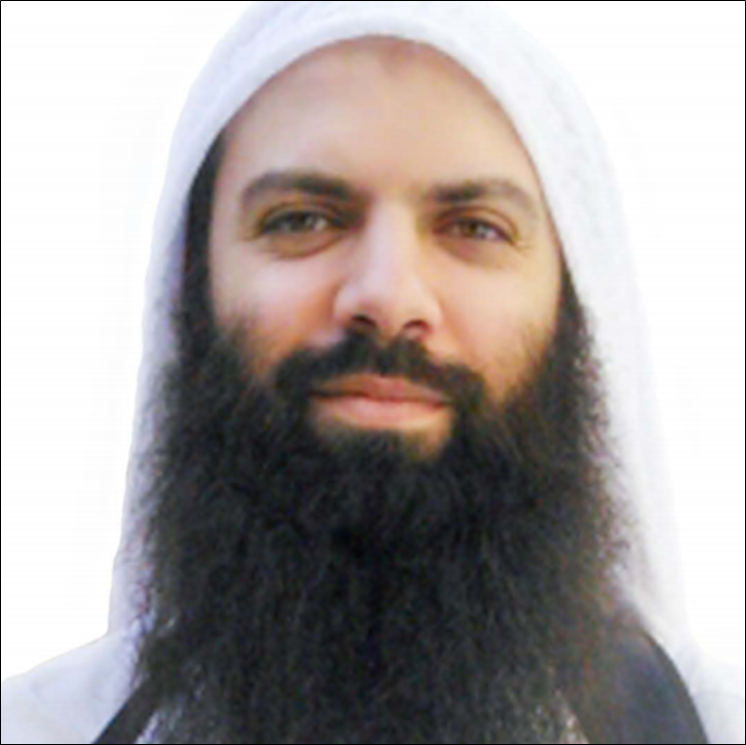 Ahmad ‘Abdul-Badi’ Abu Samrah“Among the Believers Are Men,” Rumiyah, April 2017, https://azelin.files.wordpress.com/2017/04/rome-magazine-8.pdf. Ahmad Abou“Wanted Fugitive Ahmad Abousamra Added to the FBI’s Most Wanted Terrorists List,” FBI Boston, December 18, 2013, http://www.fbi.gov/boston/press-releases/2013/wanted-fugitive-ahmad-abousamra-added-to-the-fbis-most-wanted-terrorists-list. Ahmad Abou Samira“Wanted Fugitive Ahmad Abousamra Added to the FBI’s Most Wanted Terrorists List,” FBI Boston, December 18, 2013, http://www.fbi.gov/boston/press-releases/2013/wanted-fugitive-ahmad-abousamra-added-to-the-fbis-most-wanted-terrorists-list. Ahmad Abou Samra“Wanted Fugitive Ahmad Abousamra Added to the FBI’s Most Wanted Terrorists List,” FBI Boston, December 18, 2013, http://www.fbi.gov/boston/press-releases/2013/wanted-fugitive-ahmad-abousamra-added-to-the-fbis-most-wanted-terrorists-list. Ahmad Abou-Samra“Wanted Fugitive Ahmad Abousamra Added to the FBI’s Most Wanted Terrorists List,” FBI Boston, December 18, 2013, http://www.fbi.gov/boston/press-releases/2013/wanted-fugitive-ahmad-abousamra-added-to-the-fbis-most-wanted-terrorists-list. Ahmad Abu Samra“Wanted Fugitive Ahmad Abousamra Added to the FBI’s Most Wanted Terrorists List,” FBI Boston, December 18, 2013, http://www.fbi.gov/boston/press-releases/2013/wanted-fugitive-ahmad-abousamra-added-to-the-fbis-most-wanted-terrorists-list. Ahmad Samra“Wanted Fugitive Ahmad Abousamra Added to the FBI’s Most Wanted Terrorists List,” FBI Boston, December 18, 2013, http://www.fbi.gov/boston/press-releases/2013/wanted-fugitive-ahmad-abousamra-added-to-the-fbis-most-wanted-terrorists-list. Ahmad Abousamra, also known as Abu Sulayman Ash-Shami, was a Boston-raised jihadist and a key member of ISIS. By shedding my blood, he had quenched my thirst. Was blessed with forgiveness, a heavenly sound!”“Among the Believers Are Men,” Rumiyah, April 2017, https://azelin.files.wordpress.com/2017/04/rome-magazine-8.pdf.